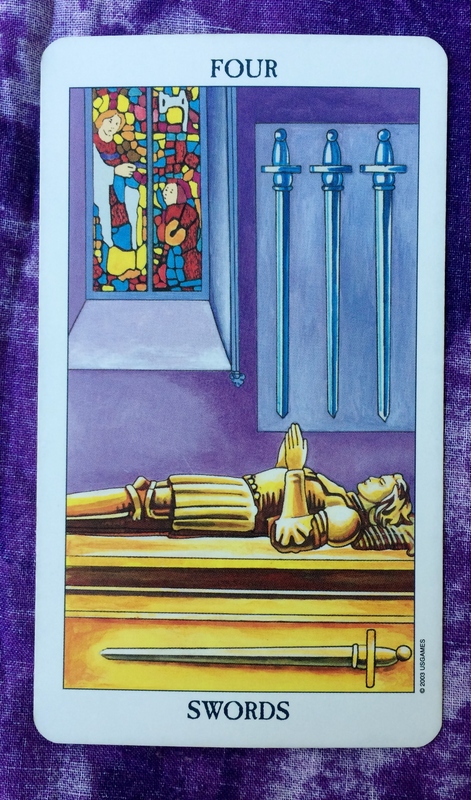 The Tarot card of the day is the Four of Swords (Healing). You may have been busy these past few days—now it’s time time wind down. In particular, try to quiet the mind. Take a break from problem solving and overthinking. For today, just be and live your life. The Tarot cards for today are the Four of Wands (Freedom) and the Knight of Wands (Action). If you have been wanting to put your ideas in motion but have been unsure of yourself, today would be a great day to take those first steps toward achieving your goal. Go with the flow and don’t be afraid to change direction in midstream. Just follow your passion and have fun. The Tarot cards for today are the Four of Swords and the Page of Swords. Just like yesterday, the two cards drawn seem to have opposite messages. But consider this: Opposites conditions can exist together at the same time. Right? In life, there is more than one truth. 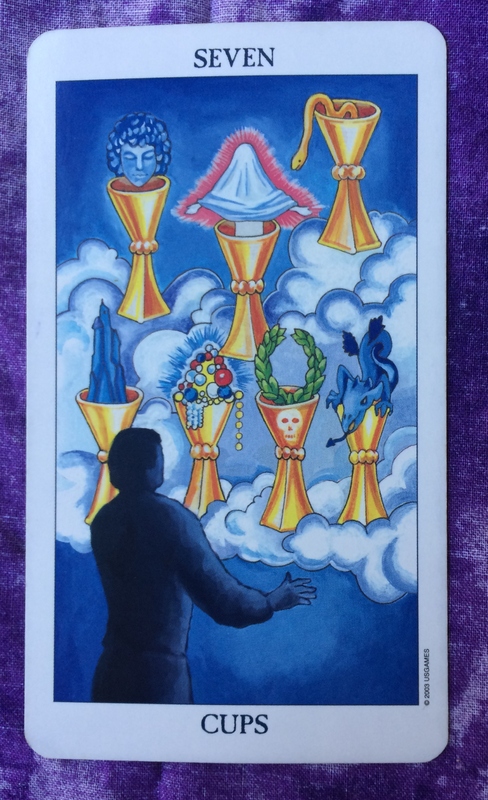 In this case, the Four of Swords is suggesting that you quiet your mind. You may have a lot of ideas and thoughts, but instead of trying to deal with them all at once, tackle each challenge one at a time. 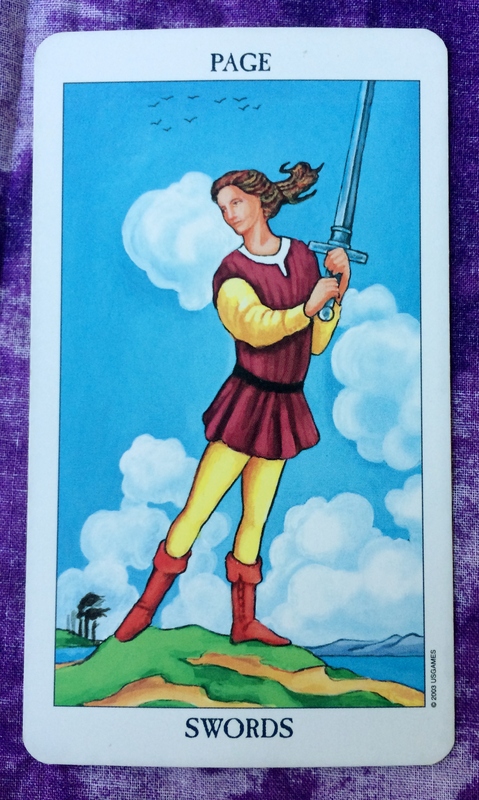 Use the Page of Swords energy to attack one problem to the fullest before moving on to the next one. You are slowing down to a manageable pace but not ignoring things you want to do. The Tarot cards for today, Saturday, and Sunday are the Seven of Cups and the Four of Swords. It may be difficult to sort out your emotions this weekend. You may be overwhelmed by the intensity of how you feel or there may be a lot of moving parts to manage. Instead of becoming frustrated, just accept that you don’t know what to do or how to feel. You don’t have to make a choice right now and you don’t have to react immediately. Wait until the time is right. Be present in your confusion, if that makes any sense. As your emotions swirl, you will soon see the picture they are trying to create — and the way forward will become clearer. Have a great weekend. Peace and love. The Tarot card for today, Saturday, and Sunday is the Four of Swords. Relax. You’ve worked hard this week, whether you were busy thinking about a project or stressed out with problems. Either way, carve out some time for yourself this weekend. Meditate, or just put your feet up, take an extra nap, or take a long bubble bath. Whatever way you want to relax, don’t worry about being productive. Recharge your batteries. Most importantly, quiet your mind. Your body and soul will thank you! 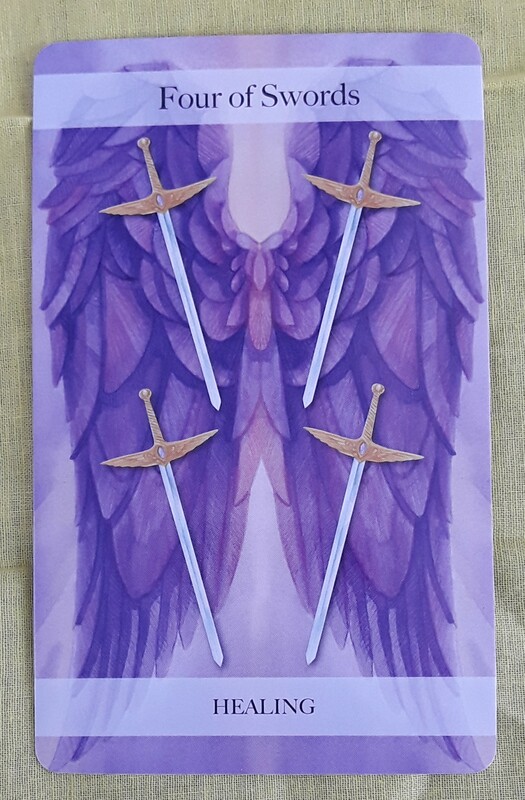 The Tarot card of the day is the Four of Swords. This card indicates that it is time to give your brain a rest! Relax your random thoughts, calm your anxieties, and limit the time you spend on idle chatter. Instead, reflect on what you have accomplished recently. Figure out whether you are on the right track or if you need to adjust your strategy. Take a break from your routine, if you can, and spend time working these thoughts out. 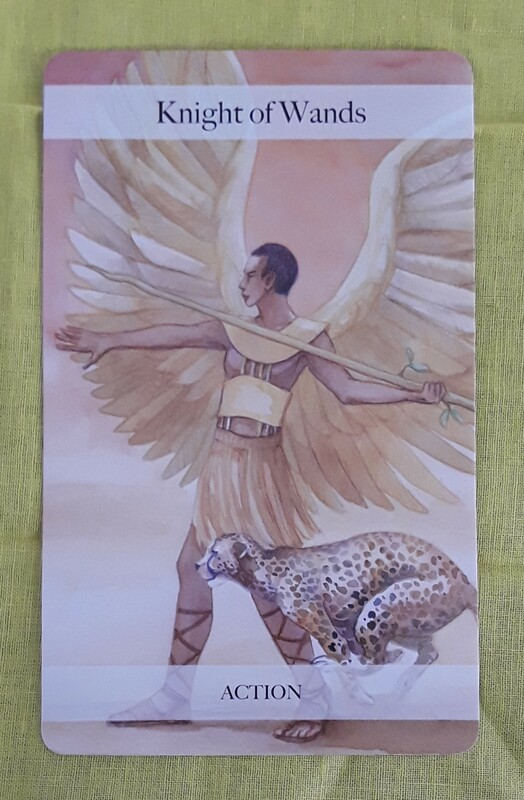 It is interesting that I drew this card today as tomorrow officially starts the Mercury retrograde. In part, Mercury retrogrades influence us to reflect on the way we think and how we communicate. Hi, All! 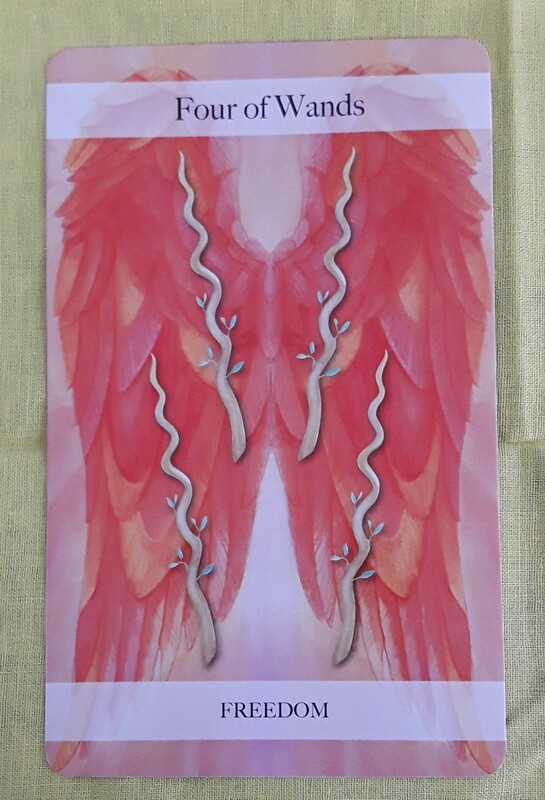 Today’s card is the Four of Swords. This is a time to take a break from the daily grind. It is a great opportunity to quiet the many thoughts rolling around in your head and to create a bit of peace for yourself. Are you having the Monday blahs? Maybe today is the day to take a “mental health day” off from work, if you can, just to rest and do the things you enjoy doing. Whatever you do today, if possible, spend some time in quiet meditation, allowing and accepting the natural course of events to flow. Those who are interested in astrology probably know that today is the day of the lunar eclipse in Aquarius. (Do a search to find out the exact timing of this event in your location). The lunar eclipse could trigger a major release of anything that does not serve your highest good; it could also be a time of sudden changes in you life. 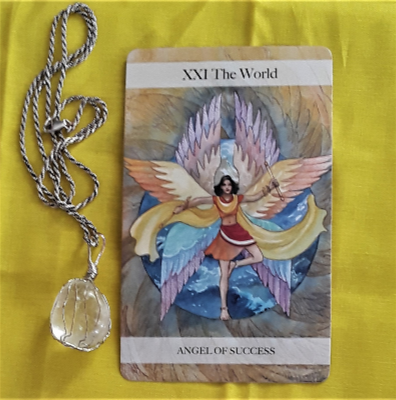 While some people may feel the effects of these astrological influences more strongly than others, it will certainly help everyone to come into this energy with with a calm quiet mind.